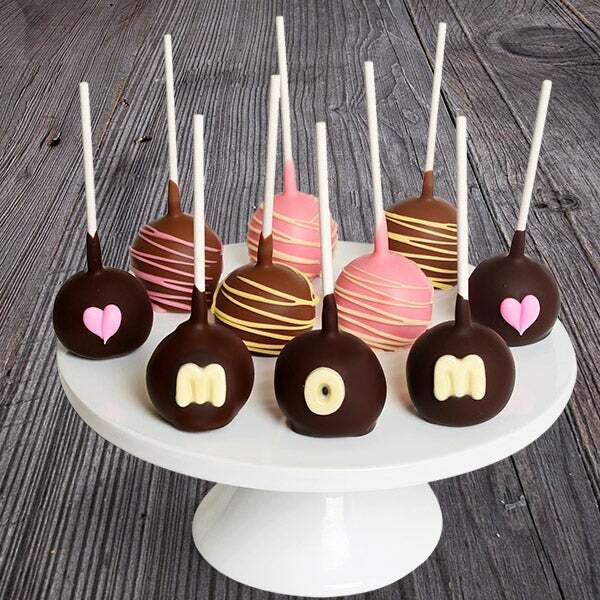 Send your love on Mother’s Day with these delightful cake pops that are the perfect treats for Mom! Miniature rounds of cake are lovingly hand-dipped in our signature Belgian chocolate. Each piece is beautifully decorated, either with a white chocolate heart, a delicious drizzle or white chocolate letters that spell out “Mom”! This collection of gourmet treats will certainly make her feel special.